Living in the Information Technology era has changed the way people communicate with each other. Today thinking about writing a letter to friends and let them know where you are and what are you doing is probably the final option you think about. Huge number of digital alternatives come around that make the communication easier, faster, more efficient and reliable. 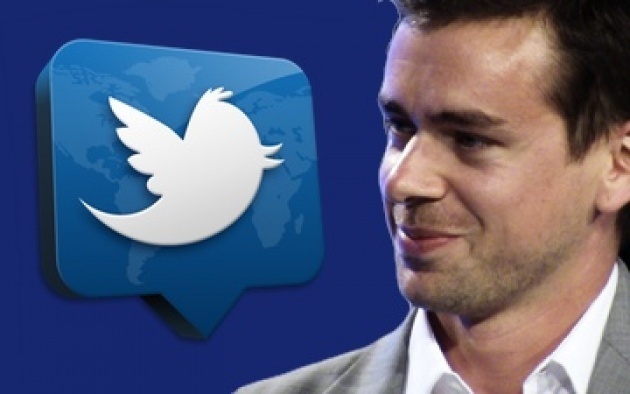 This week 60 Minutes video is about Jack Dorsey, an American web developer and businessman widely known as the creator of Twitter and as the founder and CEO of Square, a mobile payments company. Dorsey says that: " tweeting about the minor details of life allows for a deeper interaction in person because the basic Who, What, and Where of daily life has already been communicated via Twitter." Yes, Based on what he said, it is exactly how people can interact with each other although they are thousands of miles away. However recently twitter also were used in politics and revolutions in Arabic countries like Egypt, Tunisia and other countries to coordinate the protest. This is how social and digital media influence and change people's life. For a developing country like Afghanistan, using social media strategy is a great advantage. Considering the massive youth population in Afghanistan and their potential for creativity and sharing their own experiences and stories with other people around the world, it can help and support them to expand their virtual presence and establish their relationship outside of their community. In this social and digital media journey we should not forget one of the main role players in a society who are women. Although for women in Afghanistan the limitation to access the Internet is a noticeable disadvantage. Women need safe and reliable environment to go and use the Internet facility, considering the rapid growth of Internet clubs where have the separate places particularly for women is not a good solution either. Thinking about all these problems and limitations, Afghan Development Initiative has launched in Herat, Afghanistan to build 40 Internet Classroom for girls in high school by providing the social and digital media curriculum which let the students know how to create different profiles in social networkings like Twitter, Facebook, Linkedin, Tumblr and start writing blogs in FilmAnnex platform. The educational software "Examer" also give this opportunity to students and teachers to make the exams process easier and faster. Thus the combinations of all these recent technologies let the Afghan student to explore the virtual world and share their feelings and thoughts with other people globally. I would like to contact Jack Dorsey about our educational software and the mobile money system that we are using for our project and to see how we can collaborate to provide a better solution for Afghan kids and offer them the educational tools and facilities that they dreamed it before. زندگی در دنیای تکنولوژی معلوماتی نحوه برقراری ارتباط افراد را تغییر داده است. امروزه فکر کردن در مورد نوشتن نامه برای دوستان به منظور مطلع ساختن آنها از اوضاع و احوال کاری خویش شاید آخرین گزینه به منظور استفاده باشد. با آمدن گزینه های متعدد دیجیتالی،‌ امروزه ارتباطات راحت، سریع، قابل اعتماد و مناسب صورت میپذیرد. برنامه این هفته ۶۰ دقیقه با سی بی اس در مورد جک دورسی، یک طراح وب و تجارت پیشه ای است که به خاطر خلق توییتر مشهور است، وی همچنان بنیانگذار و مدیر عامل اسکویر،‌ شرکت پرداخت پول از طریق مبایل میباشد.